Use the form below to contact tour Coastal Route 5 nights directly. 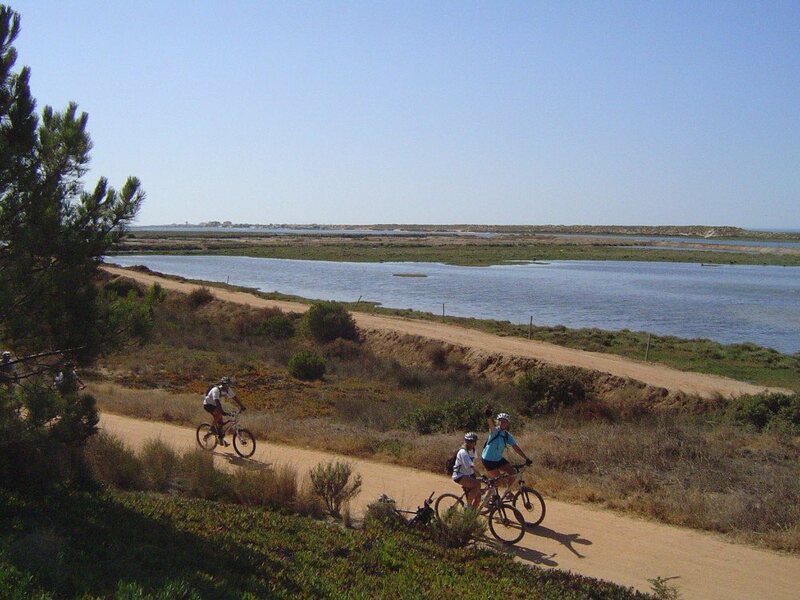 Your second cycling day on the Algarve Coastal Cycle Route takes you through the regional centre of Faro. Whilst it is the capital city of the Algarve, the central area is really quite compact. An impressive archway leads into the old town, where you will discover cobbled streets, with interesting shops and cafés. An imposing square lined with orange trees is home to a small cathedral; it was built on the site of a mosque and is worth a visit to see the beautiful tiles and gilt carved wood inside. If something a little more macabre takes your fancy, Faro is also home to a ‘Church of Bones’, where a whole wall is decorated with skeletons. 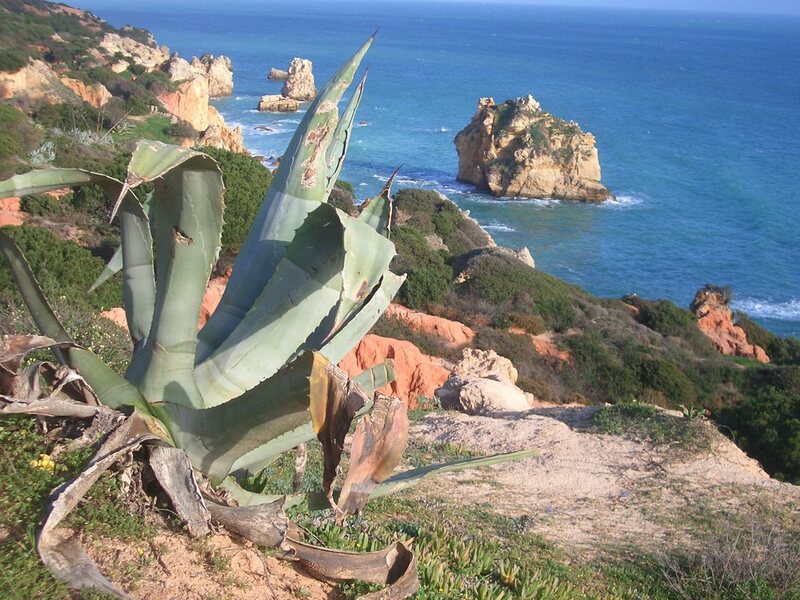 From Vilamoura you travel along easy dirt tracks beside Falesia (meaning Cliffs in Portuguese) beach towards Olhos de Àgua and then onwards, through mainly quiet roads, towards Albufeira. 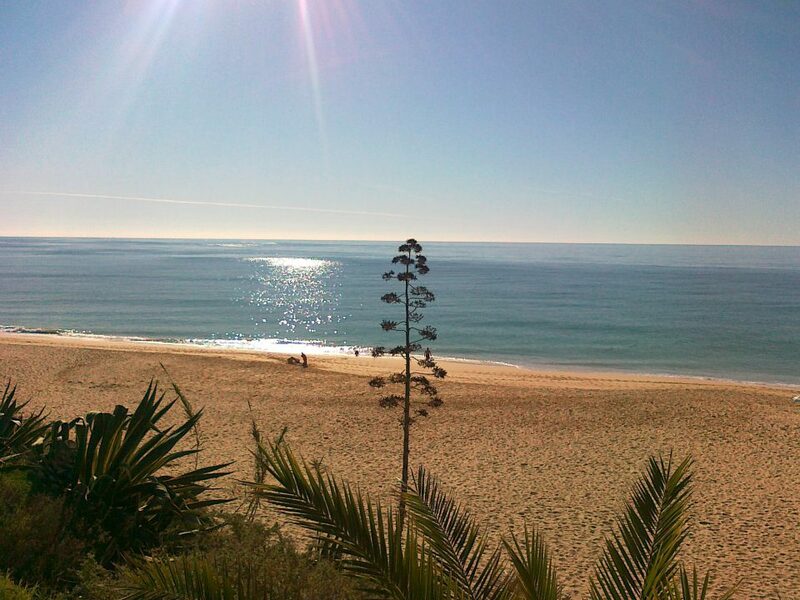 In the busy summer months of July & August, Albufeira is the busiest resort in the Algarve. However, some of the Old Town still retains the essence of the village it once was, with narrow cobbled streets winding up and around the hillsides and typical single storey houses lining the roadside. 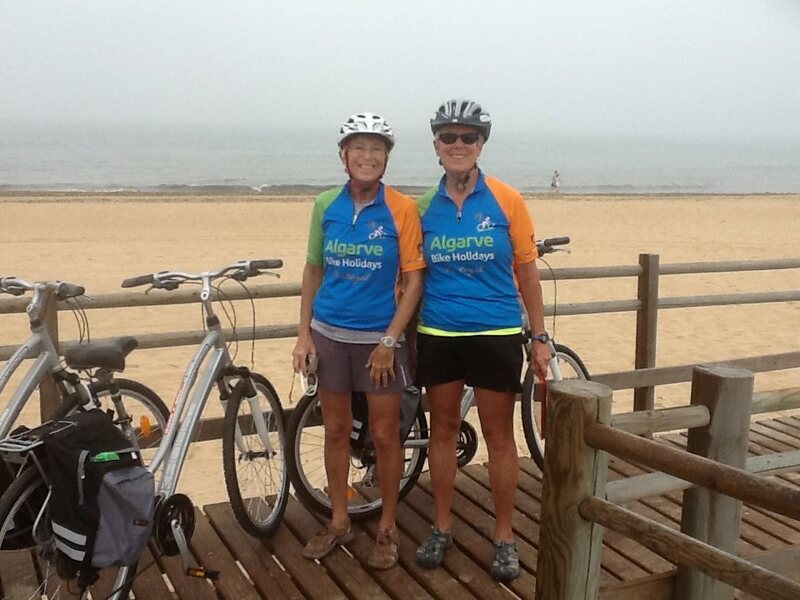 Your hotel is conveniently located to explore the town and beach (a perfect place to recover from your day’s cycling). A short ride further on takes you down towards Armação de Pêra (named after a Moorish fishing boat). The pleasant pedestrianised area along the sea front overlooks the lovely beach close to the middle of the town. From here you will travel inland towards the town of Lagoa, a traditional rural town that is set in an agricultural and wine-producing area, whose centrepiece is a dominating church and pretty town square, home to cafés, cobbled streets and flower-filled lampposts. It is situated above the flatlands, which allegedly housed a lagoon (from which it got its name), so there are some hilly sections today. But, whilst the riding is more challenging, the hills are short and the scenery easily compensates for the extra effort required. It is an ideal stop for a mid morning coffee. Leaving Lagoa there are some quiet tracks leading towards the old fishing village of Ferragudo, a pretty village overlooking the estuary. 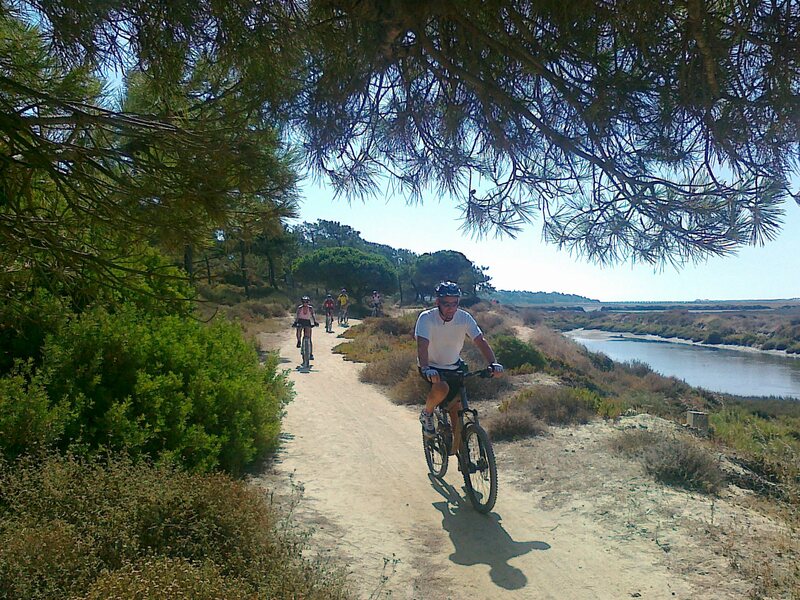 You cross over the river and cycle along the riverside towards the resort town of Praia da Rocha on the southern tip of Portimão. With one of the largest beaches in the Algarve and some scenic cliffs to the West, it is easy to see why Praia da Rocha has developed into a major holiday resort. 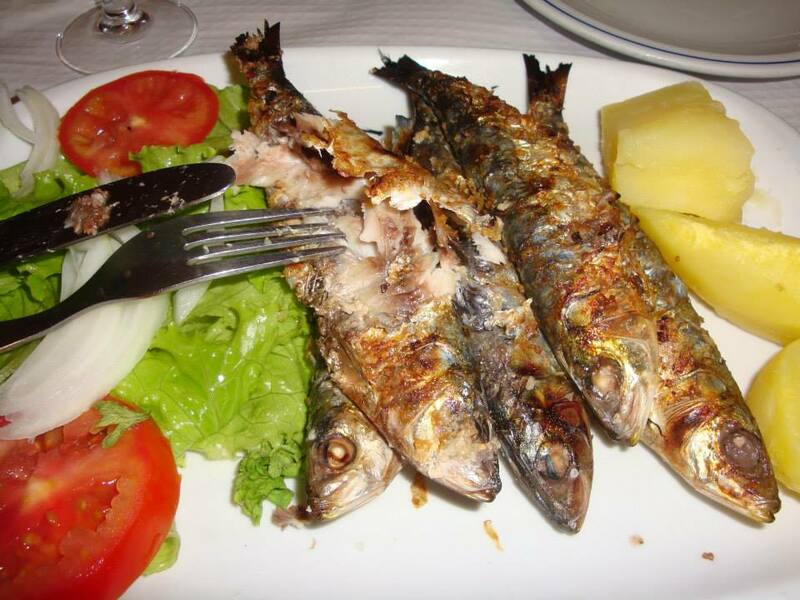 Further along the coast you come to the fishing village of Alvor, one of the quieter resorts, but growing in popularity. Although the earthquake wiped out most of the traditional Moorish village in 1755, you can still see remains of Alvor’s history in places such as the 16th century church. 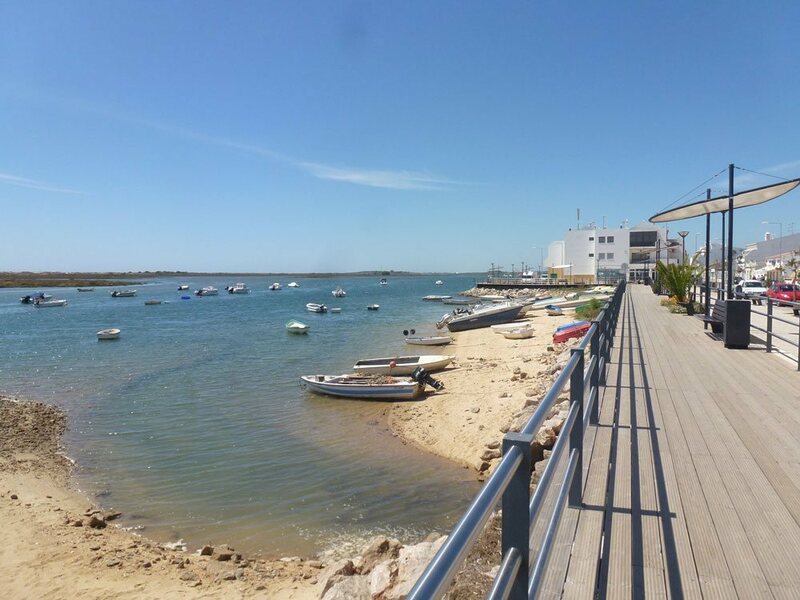 Alvor’s buildings are still mainly low-rise and the charm of the old town still remains, with the narrow cobbled streets leading down to the riverfront, where you can relax for a while and watch the fishing boats. From here you will need to head inland briefly (unless you can find a friendly boatman!) 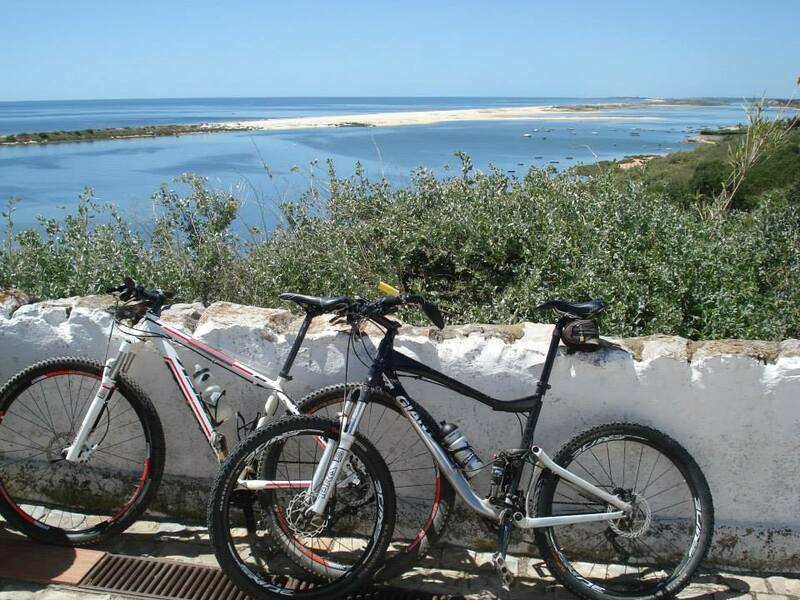 to negotiate around the estuary and back down through country lanes to the 4km long Meia Praia beach and on towards Lagos. It’s a bustling town with lots to offer; from the modern marina and waterfront restaurants, to the lively town square and the maize of cobbled streets within the old city walls, there is plenty to explore. This day’s riding has probably some of the most spectacular scenery along the way, but with that almost inevitably comes more hills, as you hug the coastline between Lagos and the rugged cliffs of Sagres. But, as always, there’s a positive! Because along the way you can enjoy the refreshing sea air and you will have opportunities to take a break in some very pretty coastal towns and villages. Luz, for example, is a sprawling seaside town with a long promenade, often host to local market stalls and artists displaying their work. Just a few kms West are the tiny villages of Burgau and Salema, which have few amenities in comparison to Luz, but both exude a specific charm that attracts day visitors throughout the year. We will collect you and return you to a quaint boutique hotel, set in a quiet square in the heart of the old market town of Loulé. Loulé is an explorer’s haven, with its narrow cobbled streets leading off the central Avenida, tiny shops and hidden away bars and restaurants.